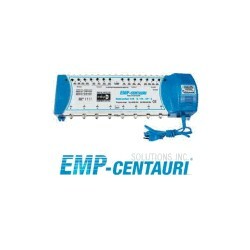 EMP-Centauri Ltd. is one of the largest European producers of multi-switches, coaxial switches and related accessories for reception and distribution of satellite TV signals. Their highly skilled development staff builds on more than ten year tradition of being in satellite business. Due to unique technology and design of their products you can enjoy quality reception for reasonable price. 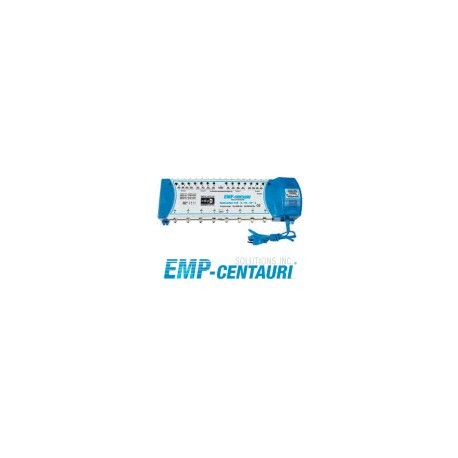 EMP-Centauri products are manufactured from the latest components on the state-of-the-art SMD automatic production line and the company processes are ISO 9001 certified. EMP-Centauri guarantees its products will be free from defects in material and workmanship under conditions of normal use. 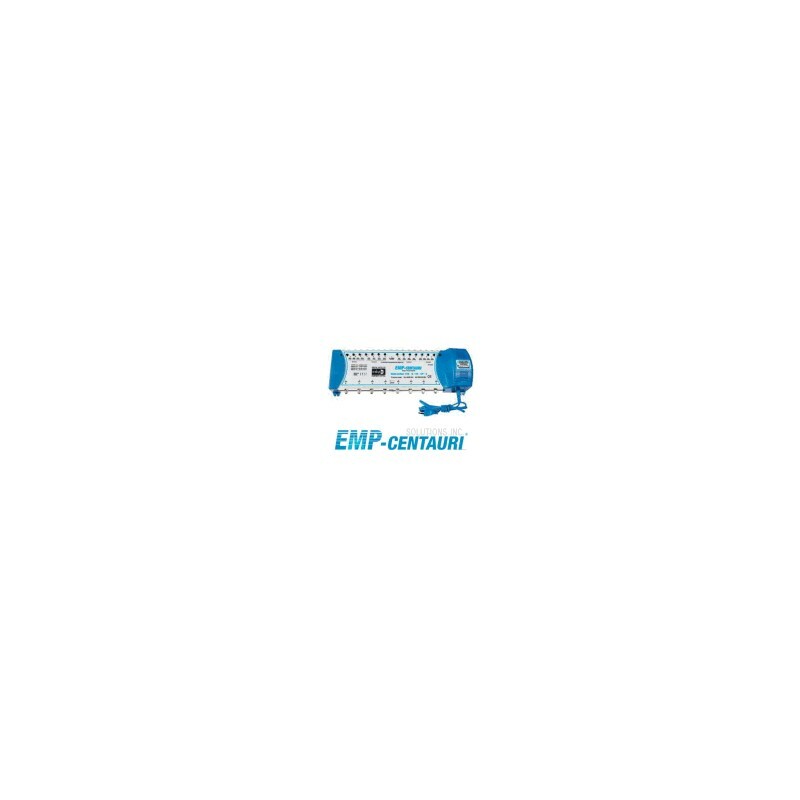 If any of the EMP-Centauri products is found to be defective in two years from the manufacture date which is legibly marked on the product, EMP-Centauri will repair or replace it. This warranty however does not apply to products which have been modified or disassembled by the buyer after delivery. EMP-Centauri reserves the right to make changes in design without prior notice. Multi-switches with 17 inputs and up to 8 outputs. All types are DiSEqC 2.0 compatible devices for indoor use with an integrated power supply. 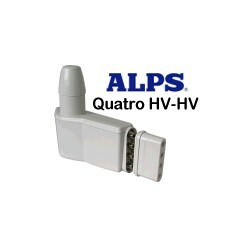 It allows use of 4 Quatro or up to 8 Dual or Twin LNBs, while each of the subscribers can view all channels from the connected antennas. Input level can be set by attenuators in a range of 15 dB. Using a built-in switch, it is also possible to send the command “22 kHz” to up to 4 selected SAT inputs for high band continuously; in this case it is possible to connect also Twin Universal or Quad LNBs to the inputs of satellite systems A&B. Please note that it is not possible to send 22 KHz tone to inputs for satellite systems C&D and therefore we don't recommend to install Quad LNBs for SAT system C&D. Stand-by mode: All multis-witches of S.170 series are equipped with an LNB power supply control system. 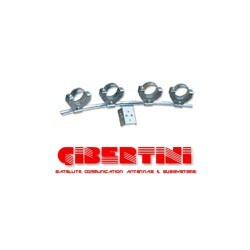 The system reduces the power taken from the power supply by feeding only those LNBs whose signals are received by the connected subscribers at a time. So the power consumption may be reduced to approx. 10 VA (depending on the multi-switch type). We have only tested this switch for FTA receivers. When connecting/disconnecting receivers, you MUST unplug the receivers, otherwise switch can be shorted. This switch is powered and works in Canada/USA. - Insertion Loss 950-2150 MHz 0 dB avg. - 40-862 MHz gain 5 dB avg. - SAT Inputs Isolation 20 dB min. - Power Consumption (incl. connected LNBs) 45 VA max. - LNB Power Supply 1600 mA max.